Whenever I open the Google Maps app on my Android mobile phone, Google always seems to know my location, and it is very accurate (usually it places me on the map even in the correct room). Also, this happens even if both WiFi adapter and GPS are off. I know WiFi adapter off doesn't really mean anything, and I have heard Google uses information about nearby routers to geolocate you. But doesn't this mean ISPs are providing Google all (or some) of their routers' location? As far as I know, no private company aside from my ISP should know sensible data like my location, name... So, How does Google locate me so damn precisely? Google and others like Apple and Skyhook build a Database which links WLAN BSSIDs to a geographic location. A BSSID is like the MAC address of a access point that gets broadcasted by that access point. It is therefore "public viewable" if the BSSID broadcast is enabled, which is the default for most access points. The BSSID operates on a lower layer as the IP stack, you don't even have to be connected to an access point to receive these broadcasts. So, essentially, when you ARE using WiFi and GPS, Google's database of BSSIDs is updated with a geographic location associated with that BSSID, as you've assumed. In your case, your AP is sending beacons advertising its BSSID, and because it is already in Google's database, Google Maps knows where you are based on the location of that AP. So it's not that the ISP is giving Google the location of their routers, it's that your phone has already helped to build a database of the Access Points around you, and Google uses this data for geolocation. 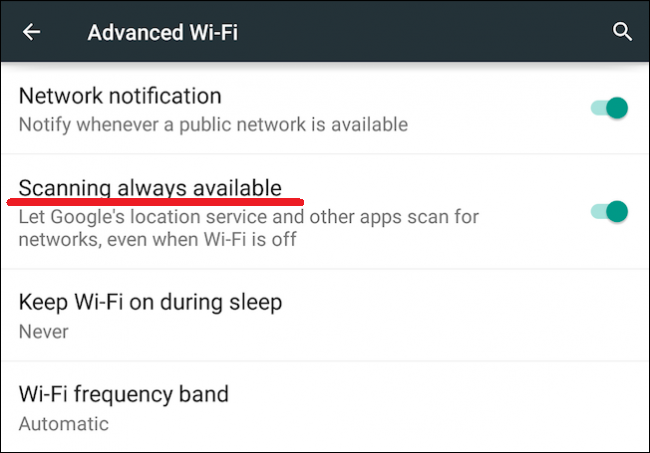 Sadly, even if you get a new router and keep any and all Android devices away from it, they will still be able to approximate your location based on the cell towers your phone connects with (or maybe even your neighbor's AP! ), but it won't be nearly as accurate. This "feature" has been included since Android 4.3, and prior versions of the Android OS do not include this feature. Thanks to martinstoeckli for this information. Although turning off this "feature" on your phone seems like the best way to prevent your BSSID from being added to the database, this isn't necessarily the case. You've got other people's phones, the phones of passers-by, and even Google's own Street View cars to contend with. Thanks to Bakuriu for pointing this out. Though this may be the case, you can opt out of your involvement in this program by appending _nomap to the end of your SSID. Your SSID is the "name" of the network that you have chosen or have been given. For example, you connect to the SSID "Home" or "D-Link" for your WiFi at home. In order to opt out you would rename your network Home_nomap or D-Link_nomap. Thanks for the tip Andrea Gottardo. For more, refer to the Google Support article about opting out. You disabled WiFi and GPS, but you still have cellular data turned on. That means that the phone is in communication with the local cell towers. Android uses cell tower geolocation to estimate your current location. Each of the radios serving those cells transmits using a certain amount of power - the closer you are to the tower, the stronger the signal your phone receives, and vice versa. Your phone uses the received signal strength to save batteries. The farther away a cell tower is, the more power it takes your phone transmit to it. So a cell phone always tries to lock onto the strongest signal so that it can transmit using the least amount of power. A more useful way of looking at it is that received signal strength represents the rough distance to the cell tower. So now picture that cell, shaped like a wedge of pie, with the strongest signals received closest to the tower, and weakest furthest from the tower. Imagine slicing the wedge of pie in curved lines ringing the tower, with strong signal strength in the closest slice and the weakest signal in the furthest slice. It looks (very) roughly the WiFi logo. Each of those slices represents some tiny area of the planet, and you're standing in one of them. If you're in a larger populated area, like a city, your phone will usually get signals from more than one cell tower. So picture the intersection of overlapping slices from tower A, tower B, tower C, and tower D. The intersections define a smaller and smaller area. So how does Google know any of where these cells, wedges, slices, and intersections are? From the billion Android phones that have GPS turned on (including yours, when your GPS was on), constantly sending reports of their GPS location and what cell towers and signal strengths they see. Google has used this data to map out where each cell is located, and what the approximate signal strength is at each point. They have a giant database on their servers with this information; your phone queries that database by making a network request that lists all cell towers that are in range, and the Google servers respond with your estimated location. It's all very approximate, of course, because radio signals don't actually travel in perfect little pie wedges - they bounce off buildings and cars, they get absorbed by trees and walls and fog and clouds and people. And new cell towers come and go every day, so the radio transmitter landscape is frequently changing, too. The millions of reports produce only average GPS coordinates. But that's OK, because even imperfect location data is still good enough for most user needs. Finally, for additional accuracy, the Google Play location services software on your phone keeps track of the last known location of your phone, and may use this to better estimate your current location. In particular, the last known location is a plausible estimate for your current location (under the heuristic that you might not have moved since the last time your location was queried); if this seems consistent with cell tower information, it might be used to improve the accuracy of your estimated location. Your web browser’s location information. Your phone's location, if you have Location History turned on. In addition, you can set your default location using the Google Maps app, so you might've done that in the past. It may be the case that Google doesn't know where you ARE, but knows where you WERE before you switched everything off. You can test this theory by switching your phone to flight mode, then moving a distance away. If your phone still thinks you are in the old location, then you know that this is the case. Then, you can switch on features on your phone one at a time, and see when it works out that you've moved. That will tell you which radio was used. Note that, since GPS is entirely passive, a phone in flight mode may still be able to receive it's location from the GPS satellites. You can be traced only if you are online via. GPS (on) - the GPS provides your location and this location "can be" stored in your phone by some apps and when it senses that you are online it can transfer those information right to your location history or on their ends. Internet - The internet can trace your location via IP address tracing each known router or if you use mobile it can triangulate your location via the cell sites. It's like a triangulation using an ordinary telephone. A malware can do the same thing. There is no way you can be traced when GPS is off and internet is off in real time. You can turn it off in google by not allowing you're location not to be seen. Not the answer you're looking for? Browse other questions tagged google geolocation google-apps or ask your own question. Can a smartphone user prevent Google / Apple / Microsoft from finding out where s/he is? If yes, how? What is the point of restricting a google API key by HTTP referer? Can I know who tried to login to my Google account? How does Google crawl pages which require login?